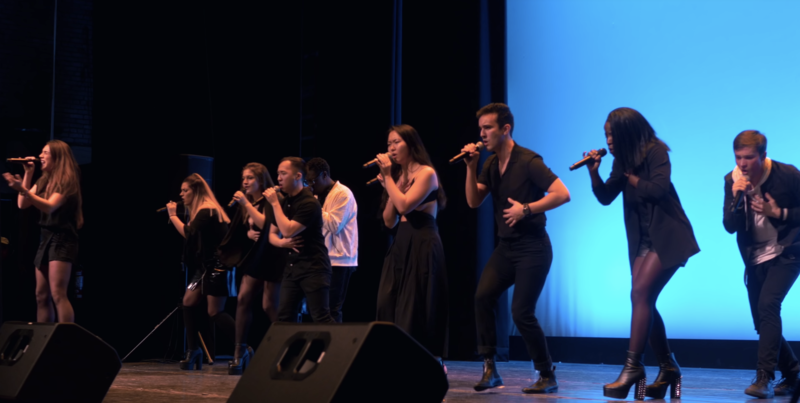 #WCW: Nor'easters Push Themselves To New Vocal Heights With Cover Of "Breathin'"
One thing is for certain...even in 2019, the Nor'easters are going to continue doing Nor'easters' type things. Yes, we've said it and are not ashamed. The Northeastern University Nor'easters once again have proved that they are in a class of their own. This time, they're doing it to the tune of Ariana Grande's "Breathin'." Ladies and gentlemen, this isn't Pop music. Simply put, this is the future of music. The ambiance of the song's intro is so soul-satisfying as the Nor'easters deliver magnificent and beautiful layering of untexted vocalizations, as they ramp up to the first verse. By the time lead Claudia Moericke utters her first words, you're already hooked. This makes it all the better as Moericke gracefully delivers smooth vocal stylings that feel like modern Pop, but are meant for a more complex music genre. And she keeps this energy throughout the entirety of the song. Whether the notes are big or small, she sells it all! In fact, much of this live performance mimics those same sentiments as the Nor'easters use their vocal superpowers to show you how contemporary music should be done. The song feels incredibly emotional as it lets every big moment linger for the necessary time. This is a testament to the song's arrangement, which is pure magic. Credit also has to go to the group's magnificent blend, which makes it easy for the ear to stay engaged since there are absolutely no hiccups, faults, or any of the like. The Nor'easters act as one incredible instrument from start to finish. And can we talk about the dynamics? Not only are they stellar, but there are more than a few times when the Nor'easters sneak up on you with them, almost out of nowhere. This is a major part of why this video is a hit. The element of surprise is a remarkable thing, and the Nor'easters utilize it well. Not only is this a prime example of a truly worthy #WCW performance, but it is so far, the best thing we've seen in 2019!